Bicyclists face many hazards on California roads, including “dooring”—when motorists open doors in their face and cause a crash. California law says motorists are liable in cases of dooring. 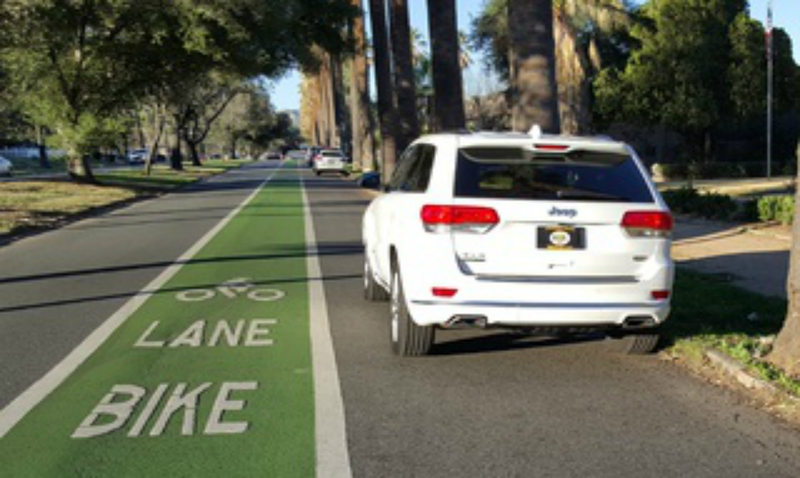 Bicyclists face many hazards on California roads, including car doors opening right in their path as they travel down the road. Being “doored,” as it’s called, can be painful, debilitating or even deadly. It’s so dangerous, California fines people found to negligently open their automobile door in the face of oncoming traffic. This law clearly places the liability for dooring crashes on the person opening the automobile door, not on the bicyclist, even when there is little traffic. “Without this type of law, bicyclists and other people in traffic have to show that they could not avoid an opening or opened door in order to recover for injuries caused by the open door,” an American League of Bicyclists article states. 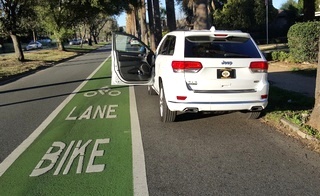 But with the law in California, courts usually place the liability on the person in the vehicle opening the door rather than on the bicyclist. Talk to a San Bernardino bicycle-accident attorney at Krasney Law if you’ve been injured in a dooring crash. Dooring accidents can happen in two ways: The bicyclist either smashes directly into the car door, or, more commonly, in an attempt to avoid the opened door swerves into traffic and gets in a crash. Bike riders, unprotected by a metal automobile, airbags or restraint systems, face dangers every time they get on the road. Add the fact that some bicycle riders move along at a pretty good pace, and it can get pretty hairy on the roads. The last thing riders need is for a door to be flung open at the last second right in their path. Traffic studies have found dooring collisions in various jurisdictions in the United States range from about 5 percent to about 20 percent of bicycle crashes, says the League of American Bicyclists. Another study from Australia found dooring accounted for 17.6 percent of bicyclists’ crashes with autos. Two states, Wisconsin and North Carolina, had fewer incidents. If you ride a bicycle on California roads, be certain to report any dooring incidents to the authorities. As of 2016, California levies a fine of $146 plus fees and possible assessments for opening a car door when it is unsafe. A finding of motorist’s fault in any dooring incident you are involved in, as evidenced by a traffic ticket for the motorist, can only help with any legal action that you may consider. The defendant in a dooring lawsuit could be held liable to pay considerable damages, depending on injuries and other losses. Some dooring collisions have resulted in traumatic injuries to the brain, spinal cord, or organs, broken bones and lacerations and bruises. If you’ve been in a dooring crash, consider calling an Inland Empire bicycle-accident attorney at Krasney Law: Personal Injury Specialists for a free consultation. We will assign a legal expert to discuss the facts of your dooring incident, California laws concerning bicycling, how to proceed with an insurance company and whether you should consider bringing a lawsuit or other legal case. We can even give an estimate of how much you might be expected to collect in damages. Our phone number is (909) 380-7200.